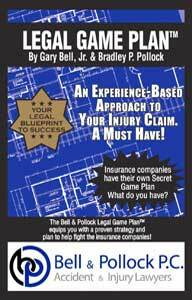 Since 1984, the Centennial personal injury attorneys at Bell & Pollock, P.C. have been tireless champions of the people, fighting to help the victims of negligence obtain the justice and financial recoveries they deserve. We know how to stand up to any opponent, and we can help our clients’ successfully navigate every phase of the legal recovery process. We offer free, no obligation consultations so you can find out more about your potential claim. We are available 24 hours a day, 7 days a week to answer your questions, explain your legal options and get you on the road to recovery. We welcome your inquiries whenever you need answers. Until then, we invite you to look through the following for more insights about our practice and how we may be able to help you. Police reports – These can uncover key details like traffic violations, suspected motorist impairment and the statements the involved parties made after the crash. Photos of the injuries, vehicle damage and accident scene – Pictures can reveal more details about factors like the point of impact, the road/weather conditions and the nature of the resulting damage. Statements from accident witnesses – Witnesses can include passengers in the involved vehicle(s), as well as anyone outside of the vehicles who saw the crash. Cellphone records – These records can prove when distracted driving may have been a factor. Dashboard camera footage – These recordings can provide vital footage of what took place before, during and following the wreck. Medical records – These records can detail the extent of the physical harm suffered in the wreck. The trusted Centennial car accident attorneys at Bell & Pollock, P.C. 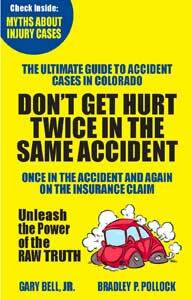 have vast experience gathering, preserving and presenting key evidence for auto wreck claims. We can help you identify, compile and leverage all of the essential evidence for your claim, helping you set it up for the best possible outcome. Last year, about 475,000 truck wrecks were reported to U.S. law enforcement authorities. Since 2009, fatal truck accidents have increased by about 28 percent, and non-fatal, injury-related truck crashes have surged by about 62 percent. When deadly truck accidents happen, 4 in every 5 fatal injuries impact someone outside of the truck, like other motorists, motorcyclists and/or pedestrians. More than 1 in every 4 deadly work zone wrecks involves at least one large commercial truck. About 1 in every 3 truck wrecks is caused by at least one driver-related error. Speeding, distraction and impairment are the top three driver errors contributing to truck crashes. At Bell & Pollock, P.C., our lawyers are fully aware that it only takes one truck wreck to change your life forever. That’s why are devoted and determined to helping truck accident victims (including those who’ve lost a loved one to a fatal wreck) fight for compensation and justice. Medical benefits – These benefits can cover any medical treatments associated with treating the work-related injury and helping the injured worker recover to the extent possible. For example, medical benefits can cover anything from imaging and diagnostic tests to hospitalizations, surgery, prescription drugs, assistive equipment and more. Disability benefits – These benefits can be paid for partial or total disabilities that are temporary or permanent in nature. Weekly and lump sum payments may be available for workers’ compensation disability benefits. Disfigurement benefits – Paid as lump sum awards, these benefits can vary in amount, depending on the extent and severity of the scarring and/or disfigurement resulting from the workplace accident. 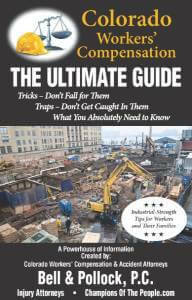 The Centennial workers’ compensation attorneys at Bell & Pollock, P.C. are highly effective at helping clients seek the above benefits – and any other compensation they may be entitled to for the suffering, injuries and losses they have experienced due to work accidents and injuries. Neglect – Failing to feed or clean residents and overlooking their medical needs are two common forms of nursing home neglect. Verbal & emotional abuse – This type of abuse can include insults, yelling and use of profanities. Physical & sexual abuse – Assaults, strapping residents to beds and/or sexually assaulting them are all common examples of these forms of nursing home abuse. Financial abuse – This can include stealing personal items, like jewelry, or stealing money from residents’ bank accounts. No matter what type of nursing home neglect or abuse you or a loved one has experienced, you can turn to a compassionate, dedicated Centennial attorney at Bell & Pollock, P.C. We are highly skilled at holding reckless, negligent staff, facilities and others accountable for harming our clients. 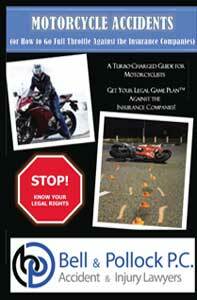 Negligence is the direct cause of fatal injuries. The incident that caused the death – or the death itself – occurred within the last two years. Additionally, the estate for the decedent may be able to pursue a survival action, seeking to recover compensation for the deceased individual’s pain and suffering. While wrongful death cases and survival actions can never bring back a loved one, they can provide compensation that may be critical to supporting grieving families and helping them put their lives back together. Other types of vehicle-related accidents – From ATV accidents to bus crashes, motorcycle wrecks and more, we represent clients in all types of motor vehicle accident cases. Product liability – This includes cases arising from dangerous consumer products, faulty vehicle equipment, defective medical devices and dangerous drugs. Premises liability – This includes claims related to slip and falls, falling merchandise, lack of security and animal attacks. Insurance bad faith & insurance disputes – This includes cases alleging post-claim underwriting, wrongful claim denials and more. Partner with an Experienced Centennial Personal Injury Lawyer at Bell & Pollock, P.C. When negligence injures you or a loved one, you can count on a Centennial personal injury lawyer at Bell & Pollock, P.C. for effective, relentless advocacy. 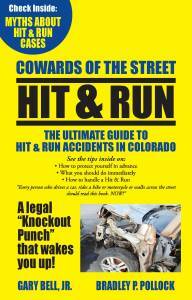 Call (720) 613-6687 or email our firm for a free, no obligation consultation. In this meeting, you can get essential advice about a potential claim and how to move forward. Proud to be champions of the people, the lawyers at Bell & Pollock, P.C. provide vigorous, tireless representation to those harmed by negligence. We are highly skilled at leveling the playing field with any opponent while helping clients successfully navigate the road to recovery. Bell & Pollock. P.C. has dedicated more than three decades to providing extraordinary advocacy to – and securing impressive results for – the injured in various types of personal injury cases. Ranked among the 50 top best places to live in the U.S. (by USA Today), Centennial is a thriving community that is home to more than 100,000 people. Centennial is located in Arapahoe County, and it is known for its award-winning parks, its Broncos training facility and its unique shopping and dining opportunities. Here’s more information (like court hours, forms and fees) for the Arapahoe County Courts. The Centennial personal injury lawyers at Bell & Pollock, P.C. can provide you with vigorous, effective representation in the Arapahoe County courts – and in any other legal venue. We are ready to help you fight for the outcomes and recovery you deserve, regardless of whether that’s in or outside an Arapahoe County courtroom.